Yesterday at about 6am, my run was getting started in the usual way: Cliff, one of the RockMyRun mascots (otherwise known as my 80 pound lab) was strapped to my waist. My headphones were in, and the pre-dawn fog hung around us like grey, misty blanket. That’s when it happened. The sounds of Feel The Magic started carrying my feet forward, and suddenly, my morning grogginess was replaced with energy and enthusiasm. I ran happier, I ran faster, I ran without abandon. Why did it happen? It’s all about the BPM my friends. Feel the Magic was spun together by the talented DJ Marc Thrasher, at a steady 170 beats per minute (aka BPM). This is important because as I found out (thanks to RockMyRun!) my natural cadence is at about 176 steps per minute (SPM). Turns out, this magic happens when the music’s BPM is very close to your SPM. In other words, when the beats match your steps you feel better. Every one of us on the RockMyRun team has had this happen. It’s a special moment, and we want to make it happen for you! So if you’re 5’7” and run roughly a 9 min. mile when you’re running longer distances, you can expect your SPM to be in the 155-170 range. 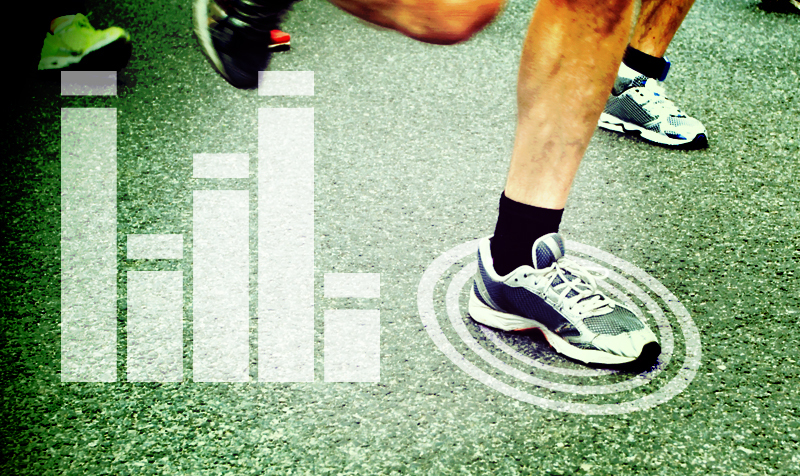 For a little more accuracy: RockMyRun counts your steps while you’re running! Bet you didn’t know that! We do this so that you can adjust the mix to your exact cadence or have us automatically adjust it when you’re running! Once you stop, take a look at the screen and you’ll see your average steps per minute (SPM) proudly displayed front and center! With this new found info, whether from the chart above or from the app, you can find a station with the right BPM for your SPM. You can do this by simply filtering your search results by BPM and you’ll be set to go! On behalf of the entire RockMyRun team, I hope you find your magical moment soon! Once you do, I’d love to hear about it – shoot me a note at kelly@rockmyrun.com or leave a comment below.